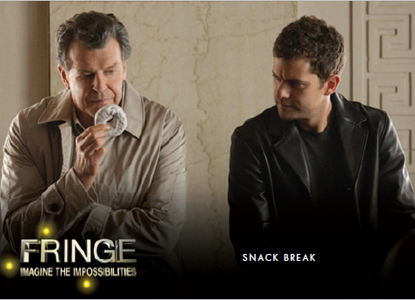 While the show constantly battled against cancellation, 2012 Cryptozoic Fringe Seasons 1 and 2 trading cards are a reality. Despite the uncertainty as the show progressed, the following for Fringe remained extremely dedicated and vocal. 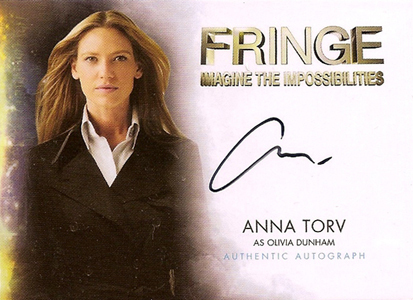 2012 Cryptozoic Fringe Seasons 1 and 2 boasts one autograph and one costume card per box. 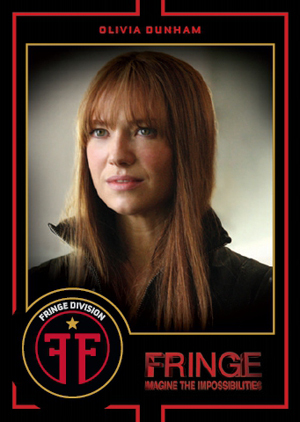 2012 Cryptozoic Fringe Seasons 1 and 2 arrives with a 71-card base set, recapping the first two years of the acclaimed science fiction series. 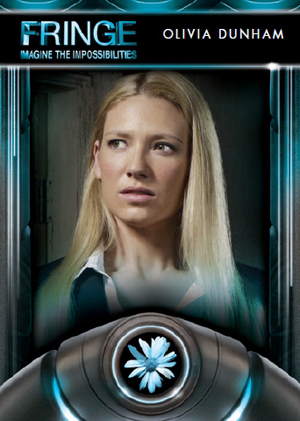 Additionally, collectors can chase two different nine-card inserts centered on the show's two universes with Our Universe and Universe B. 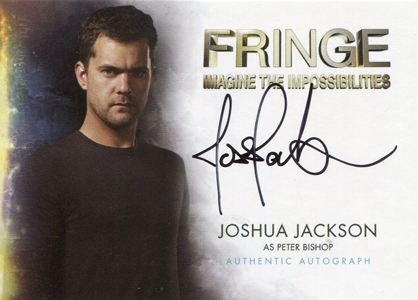 Lead stars Joshua Jackson, Anna Torv and Kevin Corrigan are among the 17 Autograph signers for the set. So is Meghan Markle, the former Suits actress who is marrying Prince Harry. Collectors can find one autograph per box. See the full autograph gallery. Wardrobe cards feature pieces of items worn during the production of the show, and also come one per box. 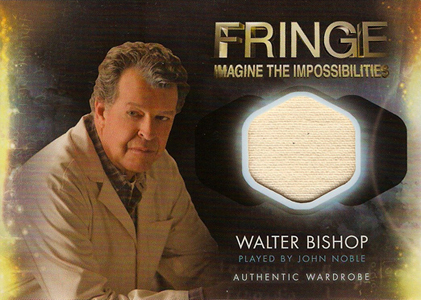 Fringe "Imagine the Impossibilities" Season 1-2 Cryptozoic Sealed Auto Wardrobe? 17 cards. 1:24 packs. Full guide and gallery. larry collins (ID 38652) � Cryptozoic – They’re relatively new to entertainment cards but have been doing CCGs such as World of Warcraft for some time. They also did the Walking Dead and the upcoming Big Bang Theory sets, amongst others.